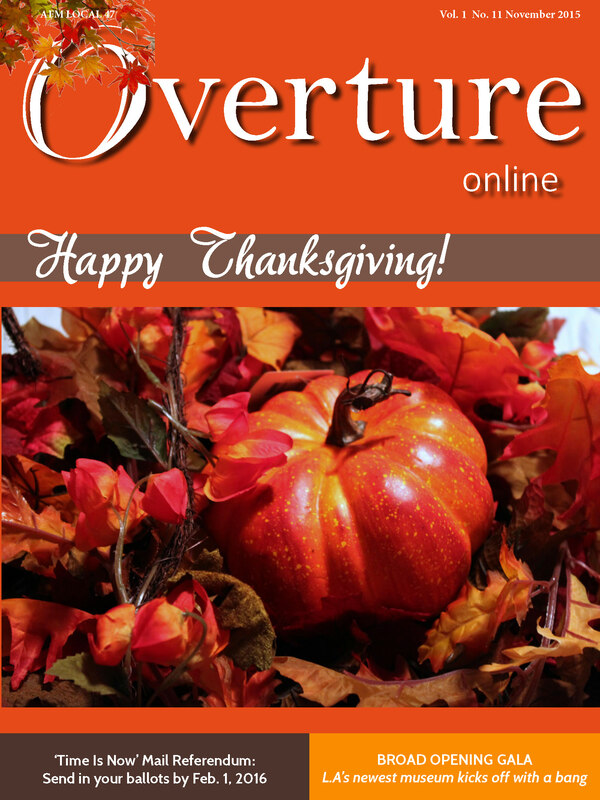 November 2015 Overture Online – Happy Thanksgiving! Overture Online is optimized for reading via smartphone or tablet. For those without access to a smart device, this issue may be viewed on a web browser (must have flash enabled). Local 47 members may also download archived pdf versions from the members section at afm47.org. This entry was posted in All News, Overture Online on November 5, 2015 by admin.